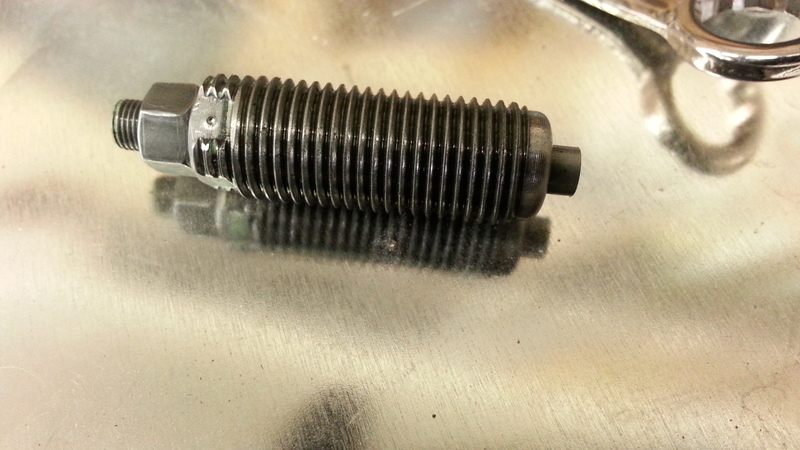 I've attached a picture of the fuel delivery limit screw from the MC pump. The tip of the screw is spring loaded. The set screw on the outside end adjusts the travel of the plunger. This is what they are calling the Torque Fuel Delivery adjustment. I believe the main screw sets the basic fuel limit and the plunger allows additional fuel under load by allowing the internal linkage to compress the plunger. On my engine the screw was bottomed out from the factory, there was no plunger travel. I backed it out to allow a few mm of travel and didn't notice any difference. Anyone have any more info on this? Post injection pump isntall issues. Single cylinder air cooled Lester Petter log splitter build questions help please!